The demonstrators plan to loft a large blimp-like balloon over the skies beside Westminster Palace, depicting a bronzed "Trump Baby" in diapers, clutching a mobile phone. It includes "keep a low profile" and 'exercise caution if unexpectedly in the vicinity of large gatherings that may become violent'. Tens of thousands are expected to take to the streets in protest of Trump's policies but there is no indication they will be anything but peaceful. After spending Thursday night as a guest of USA ambassador Woody Johnson at his London residence, Winfield House, the president will join the prime minister to watch a United Kingdom military exercise, before the pair travel to Chequers - the PM's country residence in Buckinghamshire - for bilateral talks. The protest will continue on July 14 when a "carnival of resistance" is scheduled to take place in Edinburgh, coinciding with Donald Trump's visit to the UK. According to The Guardian, in anticipation of the potentially violent turnout of protestors, the country will be deploying police at level not seen since its 2011 riots, when a man was shot and killed by police in London. The Jameson in Hammersmith has rebranded itself The Trump Arms for the US President's visit. He tweeted: "Reason I cancelled my trip to London is that I am not a big fan of the Obama Administration having sold perhaps the best located and finest embassy in London for "peanuts", only to build a new one in an off location for 1.2 billion dollars". "It's a disastrous and divisive time, and Trump is very much part of that", he said. Up to 50,000 people are expected to descend on the capital, with around 10,000 cops on the ground. Mr Trump's schedule will largely keep him out of central London and it seems unlikely that the USA president will come close enough to Westminster to see the blimp. Mrs May will be seeking to improve her often publicly strained relationship with the U.S. president as she pushes for a post-Brexit trade deal with the US. 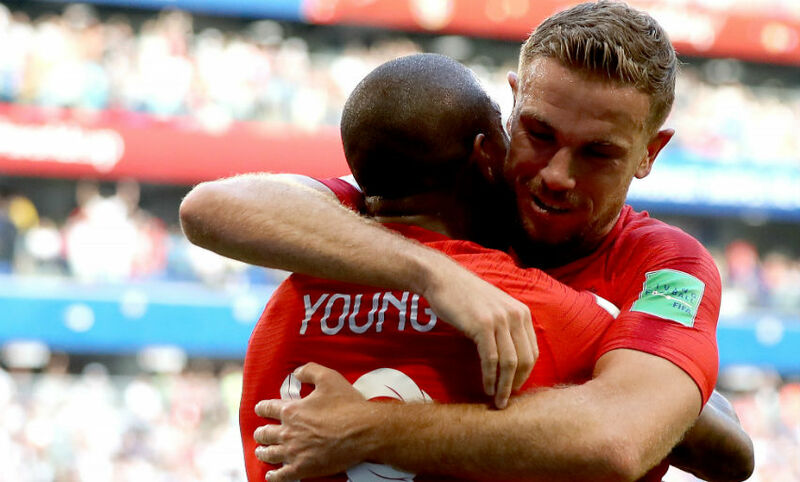 England were knocked out of the tournament by Croatia after their European rivals fought back from 1-0 down to win in extra-time. As fellow pundits Gary Neville and Lee Dixon laugh, Wright says: "We weren't talking about the final, we were having a laugh".